From this tutorial you’ll learn how to customize Advanced Carousel JetElements module style for Elementor. In this block you can change style and appearance settings for Advanced Carousel module, define items padding, alignment, additional elements color, etc. 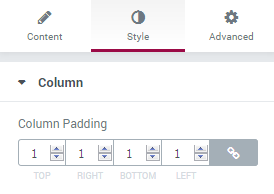 Column Padding — here you can set the preferable custom padding for the whole column where Advanced Carousel module is displayed. Fill in the values for the top, bottom, right and left padding in pixels to apply your custom padding. Here you can switch from customizing Normal to Hover Simple Items style settings. 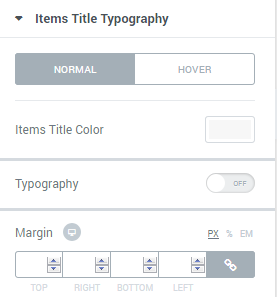 Just click on the button Hover to proceed to customizing hover elements. 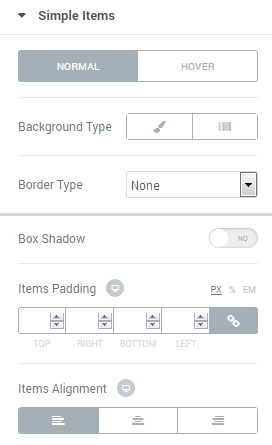 Items Padding — here you can set the custom padding for the slides. Fill in the values for the top, bottom, right and left padding in pixels to apply your custom padding. Items Alignment — set right, left or center alignment to use it for the slides content. You can customize this block if you’ve chosen Banner layout in Items Layout settings block. 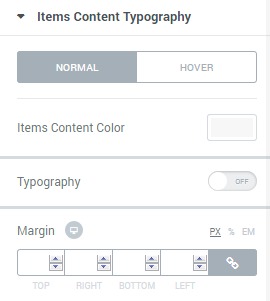 Here you can switch from customizing Normal to Hover style settings. Just click on the button Hover to proceed to customizing hover elements. Background Type — in this block you can choose, whether you want to use classic or gradient type for the banner slides background. The customization options vary for each type. 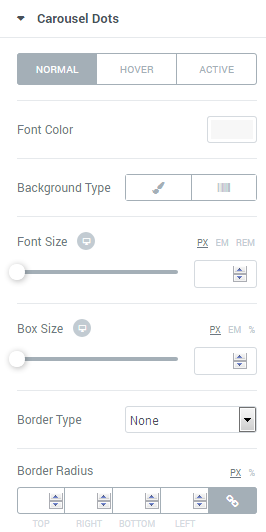 The options are similar to Simple Items Background type. Items Title Color — here you can select the preferable color of the slides title using color picker. Size — define the font size of the slide title. Items Content Color — here you can select the preferable color of the slides textual content using color picker. Size — define the font size of the slide content. Transform — here you can choose from the dropdown menu, if you want content to be shown in uppercase, lowercase, capitalize or normal way. Line Height — in this field you can set the height of the slide content lines. Here you can switch from customizing Normal to Hover Arrows style settings. Just click on the button Hover to proceed to customizing hover elements. Font Color — define the color of the arrow controls using color picker tool. Here you can switch from customizing Normal to Hover Pagination Dots style settings. 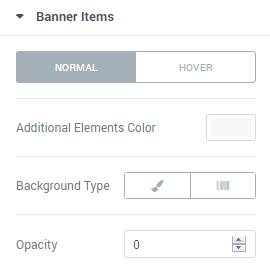 Just click on the button Hover to proceed to customizing hover elements.